Explanation: What's the best way to the city center? 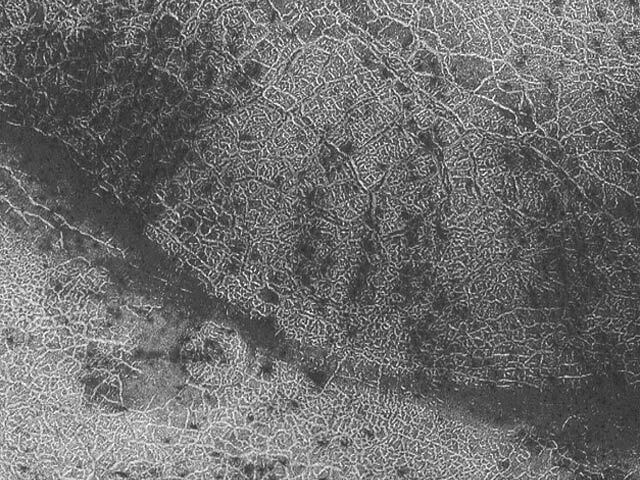 What looks like a street map of some city on Earth is actually a series of naturally-formed fragmented polar polygons on Mars. The existence of polar polygons on Mars is particularly interesting as they may indicate regions where water ice lies within a few meters of the surface. Similar looking polygons are commonly found in the arctic and Antarctic of Earth, where they typically form from a repetitive cycle of freezing and thawing. The above image spans a distance of about 3 kilometers and was taken recently by the orbiting Mars Global Surveyor.